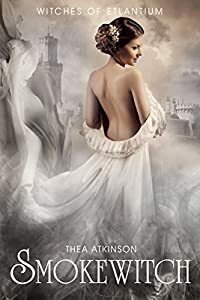 Witches of Etlantium continues with an exciting and romantic new installment Aislin has been abducted from her homeland and sold into slavery by her mother to a man she has yet to meet and delivered by a man she can't resist. 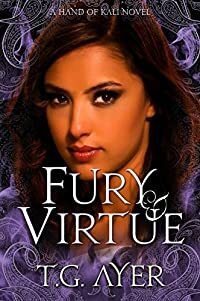 The two of them have their own demons to manage, but if she can win either of them to her side, she might have a chance of finding revenge on the selfish mother who refuses to pass down her power. But life as a chattel wife isn't easy, and it certainly isn't safe enough to plot revenge. Read the exciting new installment of the Witches of Etlantium and find out how power, manipulation, and finding yourself can take you on a gruesome, thrilling, yet deeply romantic adventure Smoke Witch is the continuation of the NA romance series Witches of Etlantium, and offers a strong female lead, fantasy with a bit of mercenary romance and womens adventure, and a sorceress romance take on abduction romance. Maisie’l on seljataga üksildane ja mitte eriti õnnelik lapsepõlv ning õnnetu abielu. Ta on lõpuks leidnud endale lähedase inimese ja tegevuse, mis talle naudingut pakub. Oma lapsepõlve peamisest toest ja lohutusest, kujuteldavast hobusest Hamiltonist on ta kirjutanud raamatu, mida on saatnud suur menu. Siis aga selgub, et minevikust vabanemine ei olegi nii lihtne, nagu ta on arvanud. Keegi soovib talle halba ja tahab, et ta kaotaks kõik selle, mis teda õnnelikuks teeb. Järg raamatule “Hamilton”, mis ilmus Varrakult 2010. aasta juulis. Taking Yourself Seriously: Processes of Research and Engagement is designed for college students as well as more experienced professionals who want to further their development as researchers, writers, and agents of change. A wide range of tools and processes for research, writing, and collaboration are defined and described-from Governing Question to GOSP, Plus-Delta feedback to Process Review, and Supportive Listening to Sense of Place Map. The tools and processes are linked to three frameworks that lend themselves to adaptation by teachers and other advisors: A set of ten Phases of Research and Engagement, which researchers move through and later revisit in light of other people's responses to work in progress and what is learned using tools from the other phases; Cycles and Epicycles of Action Research, which emphasizes reflection and dialogue to shape ideas about what action is needed and how to build a constituency to implement the change; and Creative Habits for Synthesis of theory and practice. Researchers and writers working under these frameworks participate in Dialogue around Written Work and in Making Space for Taking Initiative In and Through Relationships. These processes help researchers and writers align their questions and ideas, aspirations, ability to take or influence action, and relationships with other people. 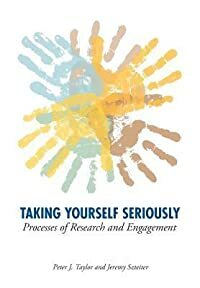 Bringing those dimensions of research and engagement into alignment is the crux of taking yourself seriously. 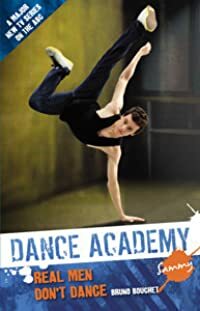 The tools, processes, and frameworks are illustrated through excerpts from two projects: one engaging adult learning communities in using the principles of theater arts to prepare them to create social change; the other involving collaborative play among teachers in curriculum planning. A final section provides entry points for students and educators to explore insights, experiences, and information from a wider world of research, writing, and engagement in change. 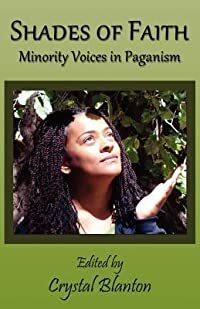 Shades of Faith: Minority Voices in Paganism is an anthology that encompasses the voices and experiences of minorities within the Pagan community and addresses some of the challenges, stereotyping, frustrations, talents, history and beauties of being different within the racial constructs of typical Pagan or Wiccan groups. Often the associations of the roots of Paganism have pushed assumptions that worshippers of Paganism are strictly Caucasian. The mainstreaming of Wicca has elevated images of worship and deity that connect with Celtic, Greek or Roman cultures. There are a lot of minority races that are practicing Pagans and are often having a myriad of experiences that are fashioned by the reality of walking between the worlds of their birth ancestry or culture and that of their spiritual culture. This anthology is an opportunity to share their stories and experiences with others around being the minorities within a minority spiritual community. Some of the practitioners in this anthology practice paths that include (but are not limited to) Wicca, Voodoo, Umbanda, Shaman, Native and other Pagan paths. Join us in celebrating the incredible diversity and beauty that encompass the harmony that has created the song of the Pagan community. The previously unheard voices of our community are now sharing the power of experience through the written word and through their voices.